For Rob’s birthday trip to New York City, I wanted to show him everything — not that you can see it all in three days. 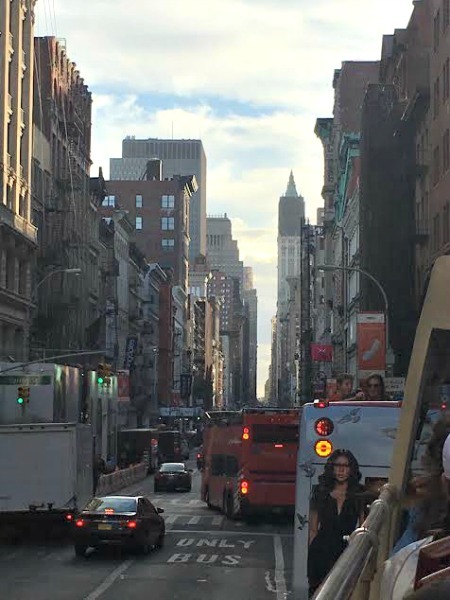 On my first trip to the city, I loved our bus tour. We saw the sites, learned some history and were entertained by stories of the people who call the city home. So, working with Big Bus Tours (which provided our tickets), I couldn’t wait to share the experience with Rob on his first trip to the city. Tickets in hand, we set off to find the tour bus stop. Easy, right? Wrong! 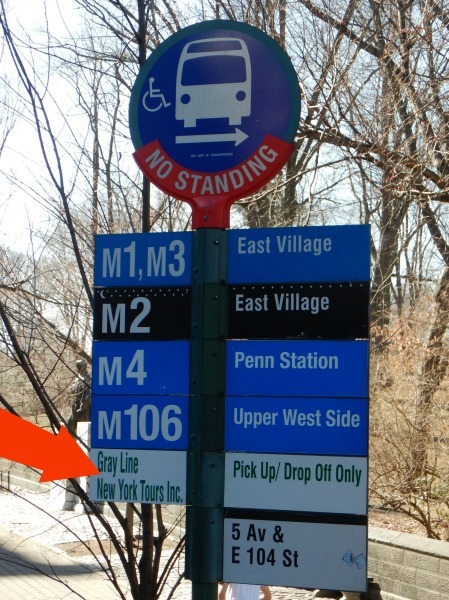 We eventually found the stop when a local explained to look for “New York Tours” on bus stop signs. After we found the stop, the bus didn’t arrive for another 15 minutes. I’m not good at “hurry up and wait,” but I got lots of practice — all day long. Our first guide was awesome — almost worth the long wait. 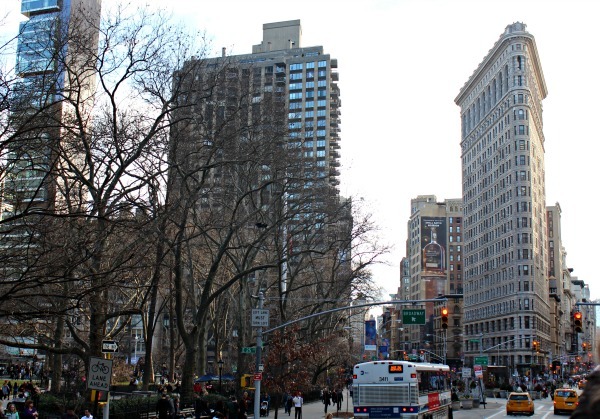 He told stories of everyday life in the neighborhoods near Central Park. He shared John Lennon’s story respectfully. We hopped off to spend some time at the American Museum of Natural History, and the guide pointed out where to pick up the bus to continue the tour. Nice touch. After the museum, we headed to the bus stop — thankfully we had a bright, warm day. We waited a long time for that bus. We double and triple checked the bus stop sign, as if checking it would make the bus arrive more quickly — kind of like how checking the oven never makes the Thanksgiving turkey cook quicker. Eventually, the bus arrived and we took seats upstairs in the open air. This guide was not so good. He was pleasant, but he didn’t seem to know the script well. A couple people asked him questions about the area — his answers vague with lots of “umms” thrown in. He seemed to know a lot about the price of housing in New York and shared concerns of affordable housing and rent control in the city. He did not sound convinced that New York has a firm grip on its housing situation. 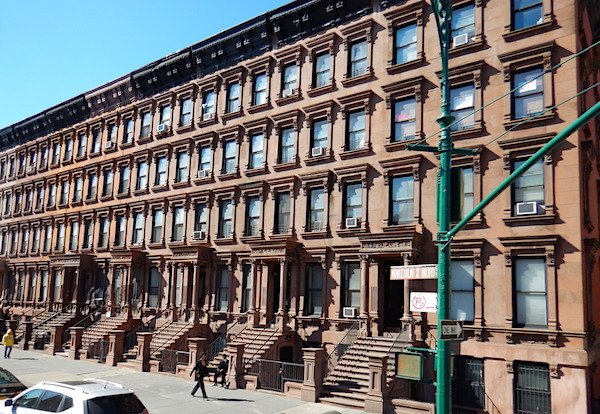 As we drove through Harlem, he told us many times — way too many times — that Harlem is safe. 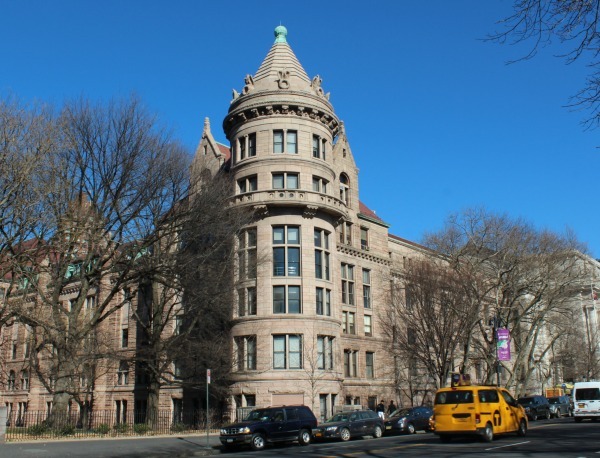 He made such a big deal out of Harlem’s safety that I began to feel unsafe. You know — that feeling you get when someone pushes too hard? Anyway, we got to the Met, our second stop, and hopped off the bus. After a brief visit (three days, people, only so much time), we opted to enjoy the weather and walk through Central Park, skipping a few stops on the route. We couldn’t find this bus stop, perhaps because the actual location is not where it’s marked on the map. We walked further up the street, finally found the stop and had a great guide for this leg of the journey. We knew where the downtown bus tour began and headed there. A long line had already gathered, which made me a little nervous. I wasn’t sure we’d find seats. After an extremely long “hurry up and wait,” I wasn’t sure a bus was even coming. Two Big Bus Tours employees stood at the stop, so I asked one when we might expect a bus. After all, they’re supposed to come every 15-20 minutes. Rather apathetically, he explained that because traffic is so heavy in Manhattan, the buses get stuck and can get way behind schedule. He didn’t know when the bus might come, and I really don’t think he cared. The bus finally arrived and we hopped on with the rest of the crowd, filling every seat. The bus made its way slowly through traffic to the federal courthouse and then down to Wall Street. 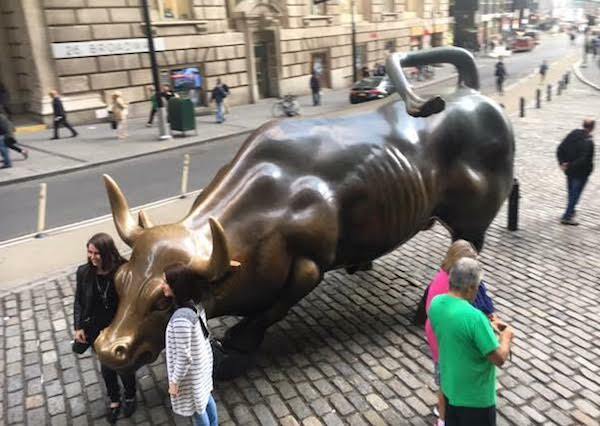 We got stuck right next to the Wall Street Bull. Our guide, maybe unsure what to do with extended silence, spent way too much time talking about the bull — and a particular part of his anatomy. And how women, especially, seem to enjoy this end of the bull. I turned off my headphones. Once we got moving again, we drove through Chelsea, past the High Line and back to the Times Square area. We hopped off when we could — this time without leaving a tip (it takes a lot to push me that far). 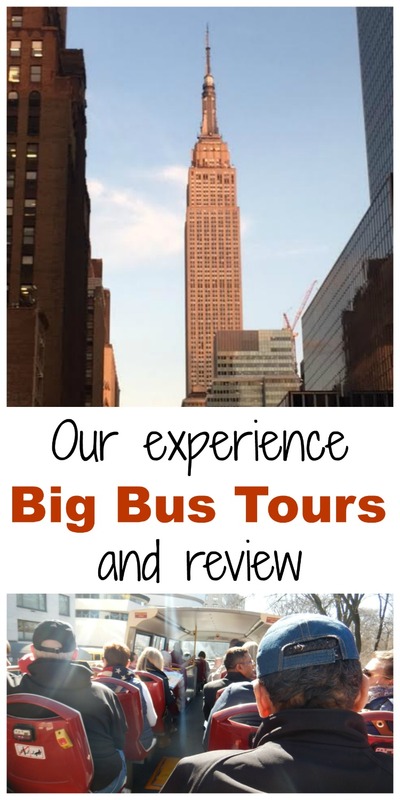 Would I recommend Big Bus Tours to you? I’m honestly not sure. I’ve long been a fan of using city bus tours to learn about new places, but I’m not sure it works in New York anymore. It might work fine in other cities with less traffic congestion (if they exist). It provides a general overview of the city’s history, architecture and culture. You don’t have to walk. The headphones make it easy to hear the guide (or tune him out). It can be used to get from one major attraction to another. It’s slow. 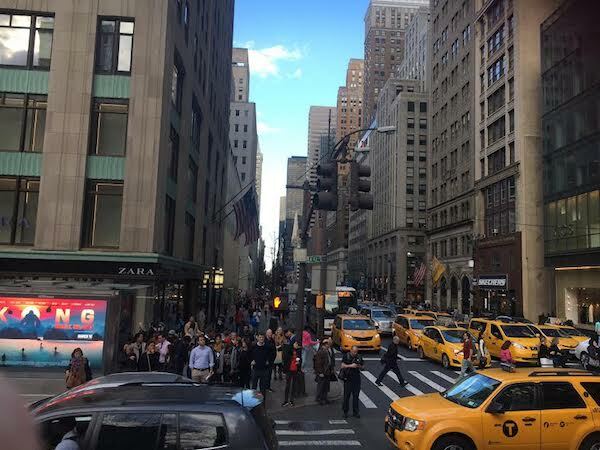 The city’s overall traffic issue — with yellow cabs, Uber, private limos and tour buses all vying for the same space — makes it impossible to stay on schedule. Tickets: Prices vary by tour type (one day, multi day, etc). 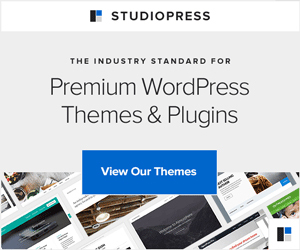 Check website for current prices. **Note: You do save if you purchase online. **Big Bus Tours employees (in the maroon outfits) also sell tickets all over Times Square. You can’t miss them! They won’t miss you. Accessibility: All buses are wheelchair accessible. Families can bring strollers onboard, but must fold and store them when the bus is moving. I received free tickets for purposes of this review. All opinions are mine. We’ve only done tours once on our travels. Thankfully our experience was better than this one! Hopefully your husband was good humored with it all. We’ve done several tours and this is the first one to be really bad. It was tough writing the review, because I wanted to like it. I think the traffic is a big issue — for passengers and staff.